In a glass measuring cup, combine enough of the pineapple and mandarin orange juices to measure 1 cup. In a medium saucepan, combine the juices with the sugar and whisk until the sugar dissolves. Whisk in the eggs, flour and salt and cook over moderately low heat, whisking constantly, until the custard is thick enough to coat the back of a spoon, about 8 minutes. Strain the custard through a fine sieve into a large heatproof bowl. Press a piece of plastic directly on the custard and refrigerate until chilled, about 1 hour. Meanwhile, in a medium saucepan of boiling water, cook the pasta until al dente. Drain well and spread the pasta on a rimmed baking sheet to cool. Remove the custard from the refrigerator. Using a rubber spatula, fold the pasta into the custard, then the pineapple and mandarin oranges. Press a piece of plastic wrap on the surface of the salad and chill in the refrigerator until just set, about 30 minutes. Meanwhile, in another large bowl, whisk the sour cream with the heavy cream until soft peaks form. 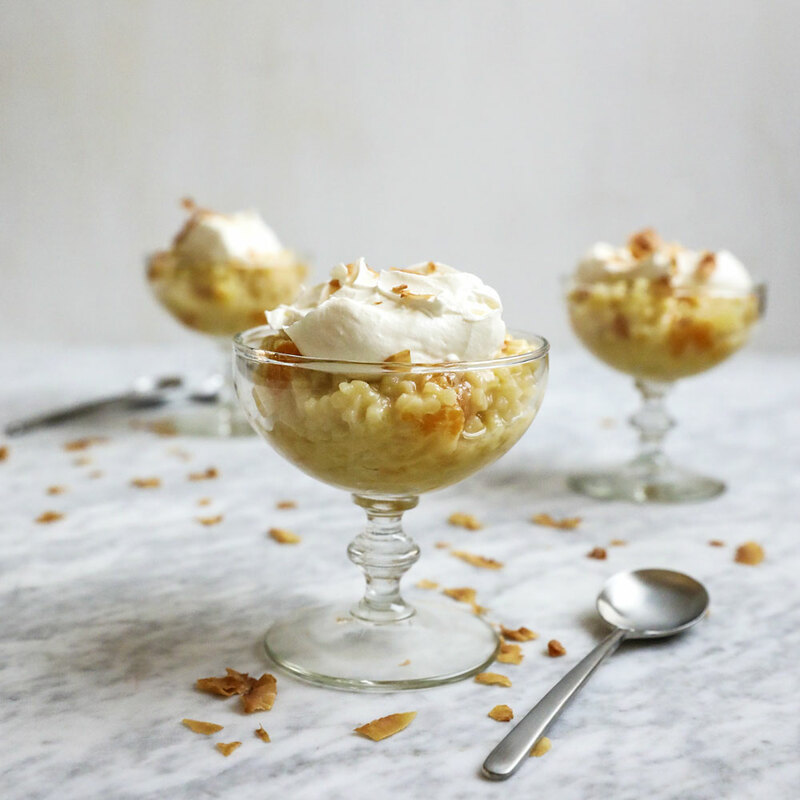 Serve the salad with the whipped sour cream and toasted coconut.